ALL ROADS AND TRAILS LEAD HERE. 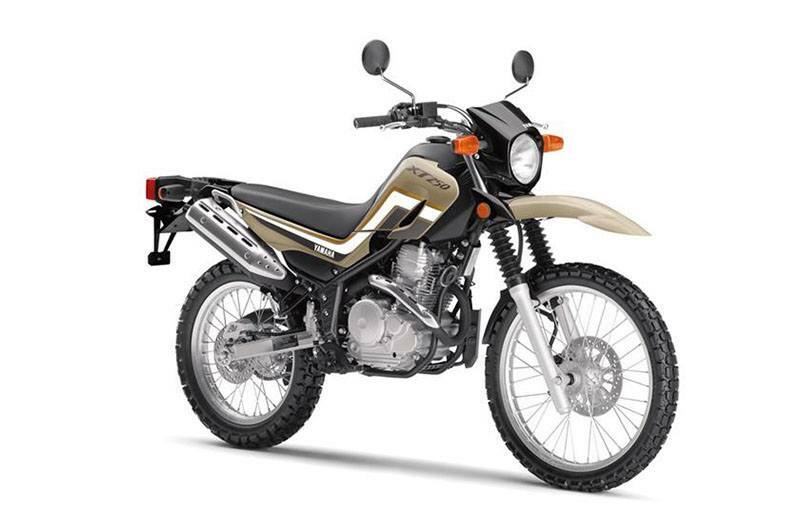 Light, nimble, easy-to-use and ultra-reliable make it the perfect on and off-road machine. STRONG, COMPACT FRAME: A semi-double-cradle steel frame achieves a lighter, nimbler feel through greater mass centralization. Greater lateral and torsional rigidity and reduced weight of the lower frame parts help produce light, stable handling. ADVANCED LONG-TRAVEL SUSPENSION: The front fork has 8.9 inches of travel to soak up the rough stuff, both on road and off. An aluminum lower triple clamp keeps the weight down. NIMBLE STEERING: Maximum turning angle of the handlebar is 51 degrees—almost like a trials machine. Combined with a short wheelbase of only 53.5 inches, the XT250 has a super-tight turning radius for excellent maneuverability. LINKAGE-STYLE SHOCK: A rear shock provides 7.1 inches of wheel travel through a progressive, Monocross® linkage system for a smooth ride. 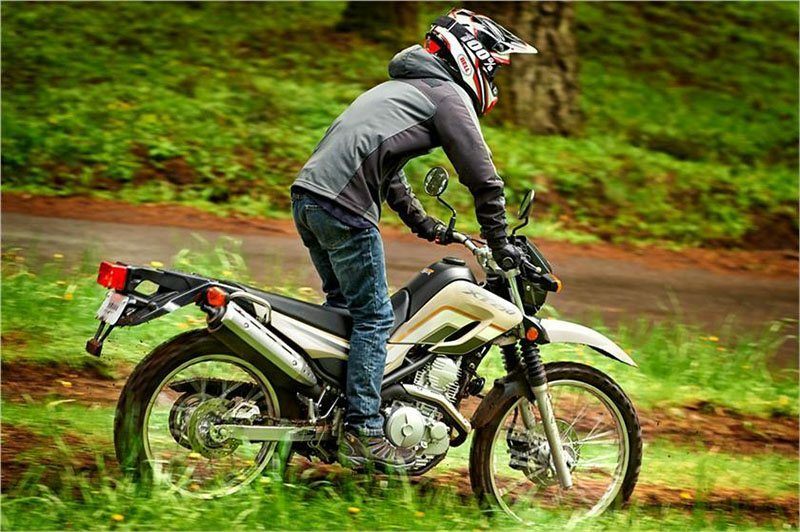 DIRT-READY WHEELS: 21-inch front and 18-inch rear aluminum wheels are extremely durable and reduce unsprung weight for enhanced suspension performance and handling. 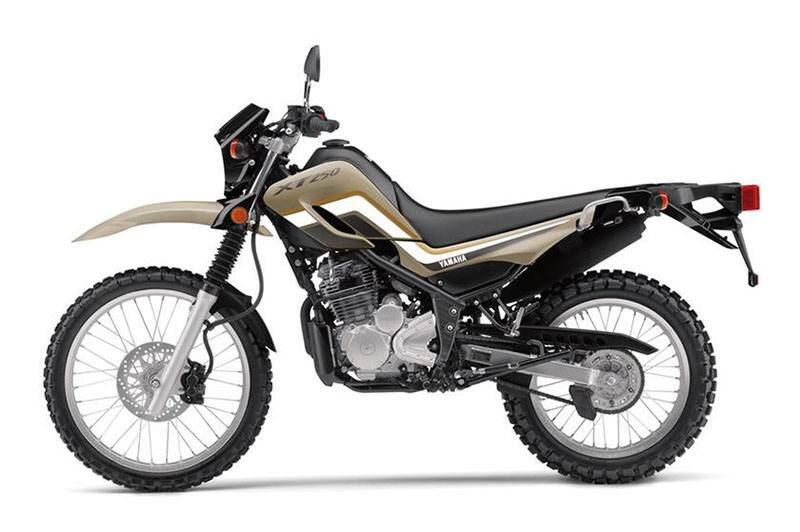 GENEROUS GROUND CLEARANCE: 11.2 inches of ground clearance means you’ve got serious off-road capability. 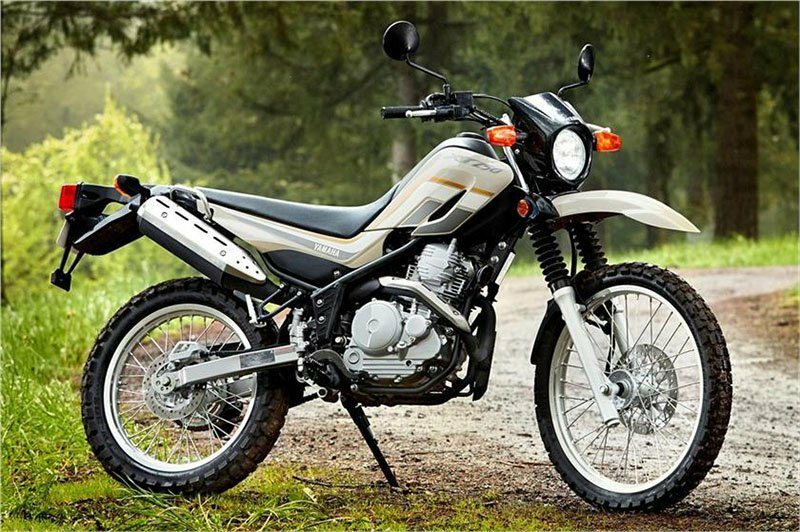 RELIABLE FOUR-STROKE MOTOR: 249 cc air-cooled four-stroke with 9.5:1 compression makes for great on-and off-road performance. 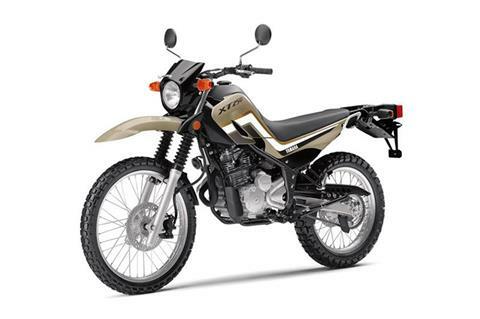 MODERN FUEL INJECTION: The XT250 has fuel injection for smooth throttle response and easy starting in nearly all conditions. ADVANCED CYLINDER DESIGN: A light-and-strong forged piston inside a plated cylinder helps dissipate heat more efficiently, increasing both performance and durability. RESPONSIVE POWER: A light crankshaft helps provide quick responsive power. 5-SPEED TRANSMISSION: Wide-ratio five-speed transmission for maximum power and performance in a wide range of terrain and conditions. EFFICIENT INTAKE DESIGN: Straighter intake tract for improved performance. CONVENIENT ELECTRIC START: Hassle-free push-button electric starting adds extra convenience and reliability. 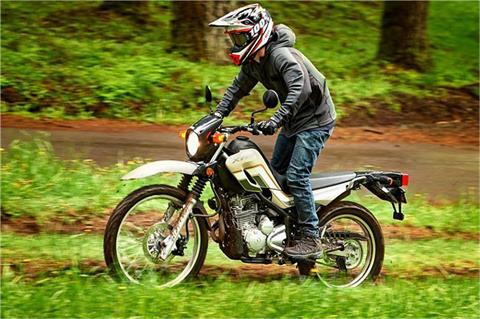 TRAIL-READY CHASSIS: Engine is mounted high in the frame to provide an incredible 11.2 inches of ground clearance. LOW MAINTENANCE ENGINE: Automatic cam chain tensioner means minimal maintenance and longer engine life. 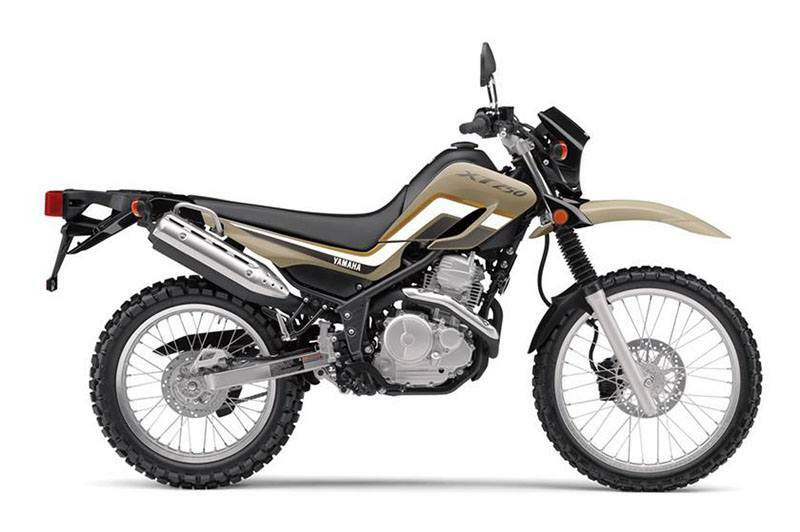 EXTENDED FUEL RANGE: The stylish gas tank holds a full 2.6 gallons (2.4 for California models) for long-range riding. ADVANCED LCD INSTRUMENTS: Multifunction digital LCD instrument panel with cool green background lighting is easily visible day or night. It also removes unnecessary weight from the handlebar for light, precise handling. COMFORTABLE SADDLE: Long, thick seat creates a balanced riding position for optimal rider movement and comfort. PROTECTIVE FENDERS: Durable and wide front fender is designed to keep mud and dirt off the rider when exploring off-road. 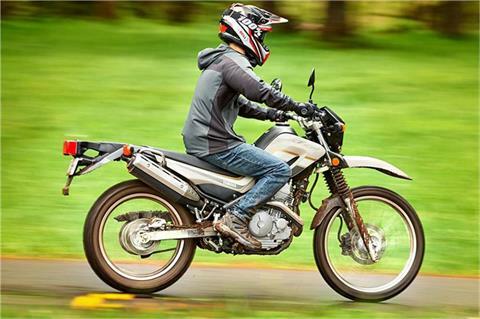 PASSENGER-READY: Frame-mounted passenger foot pegs provide two-up riding capability. BRIGHT ILLUMINATION: Enduro-style, 60/55-watt halogen headlight features a cool 133mm lens for excellent visibility at night. DUAL SPORT LIGHTING: Flex-mounted turn indicators offer great durability against breakage. 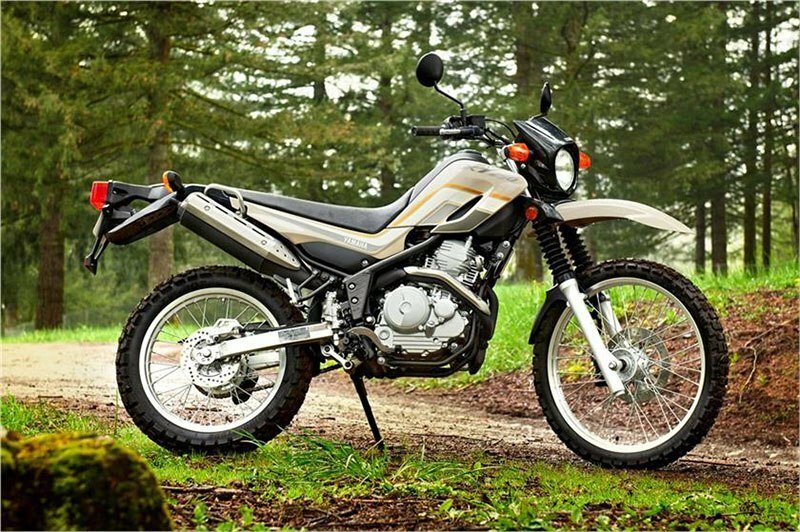 FORK PROTECTION: Durable fork boots help prevent rocks and debris from damaging fork sliders. FORESTRY-FRIENDLY EXHAUST: A spark arrestor makes the XT trail ready. MODERN BATTERY: Dependable, low-maintenance battery. 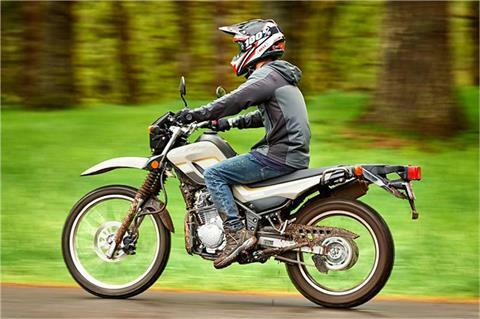 ADVANCED LONG-TRAVEL SUSPENSION: Long-travel suspension and more than 11.2 inches of ground clearance live under a seat only 31.9 inches from the ground. CONVENIENT ELECTRIC START: Electric start makes firing up the 249cc four-stroke effortless. DUAL DISC BRAKES: 245 mm front disc and 203 mm rear disc brakes combine to deliver superb stopping power on both paved and unpaved surfaces.